Asus PCE-AC88 is an upgraded version of the PCE-AC68 with gaming in focus. It is ridiculously faster with a maximum possible throughput of AC3100. 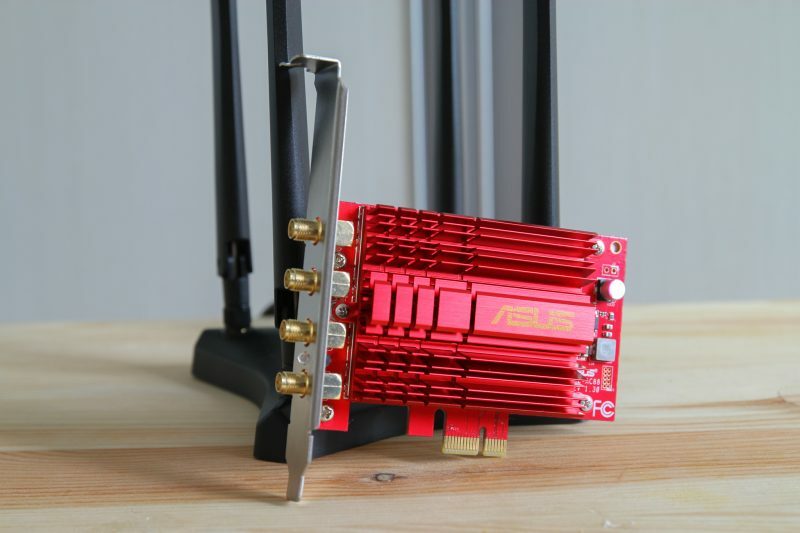 It is a PCIE wireless card and it is only compatible with a PC with PCIE slot. Why a PCIE wireless card instead of a USB wireless adapter? Well, a PCIE wireless card is more stable than a USB wireless adapter. The performance is much better thanks to no USB 3.0 protocol related interference. PCIE as a protocol itself is faster than USB as well. The hardware itself is pretty nice. The card comes with a huge chunk of heatsink to prevent the card from overheating. The red brushed aluminium heatsink is a very nice touch to the overall design. The back is covered by EMI shield and there is no exposed chip. 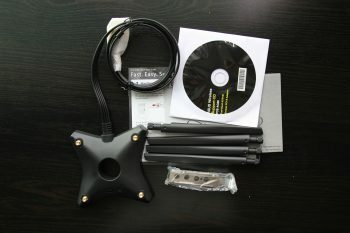 It comes with 4 antenna ports and it is designed to use with the included antennas. You can either plug the antenna to the base directly or use the included antenna base. I recommend using the antenna base so you can position your antenna better instead of hiding it behind of the PC. The performance will be much better since the signal is not blocked. The antenna base is pretty nice. 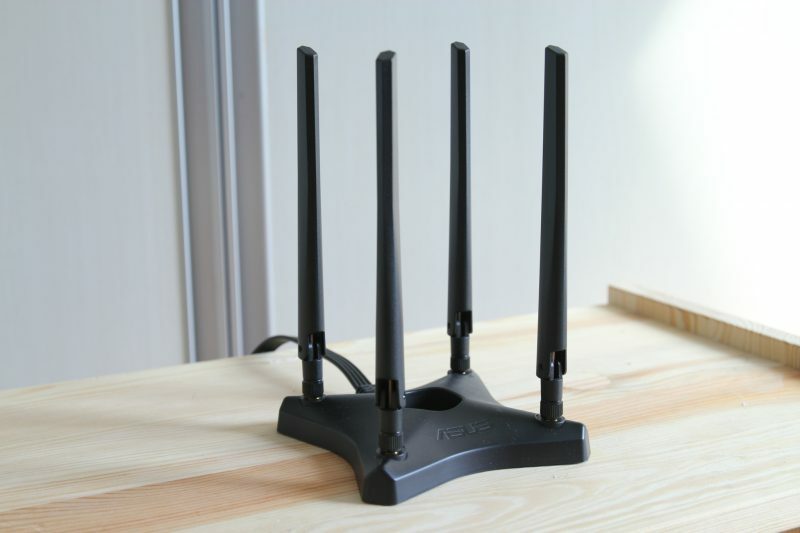 The PCE-AC88 is a 4×4 device and it requires 4 antennas unlike the PCE-AC68 which only have 3. The base itself is magnetic so you can attach it on the side of your metal PC case. The PCE-AC88 is a very powerful device with great signal strength and performance. 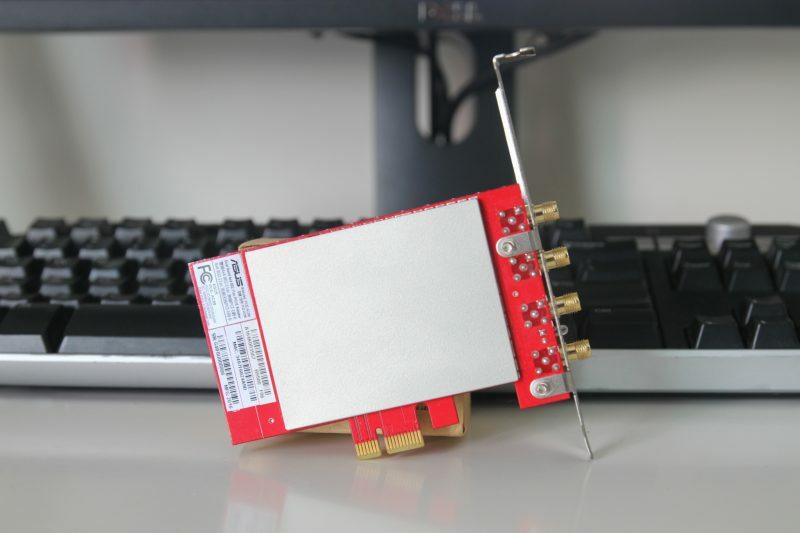 Starting from the signal reception, since this is a high powered wireless card, the signal reception is very much better than a USB based wireless card. I am able to see those wireless AP around me which I normally don’t on my usual built-in wireless card. This is definitely a huge step up over a conventional USB wireless adapter or even your built-in wireless card. On the performance side of things, the PCE-AC88 is fast, seriously fast with possible throughput up to Wireless AC3100. That’s 2167Mbps on the 5Ghz band and 1000Mbps on the 2.4Ghz band. 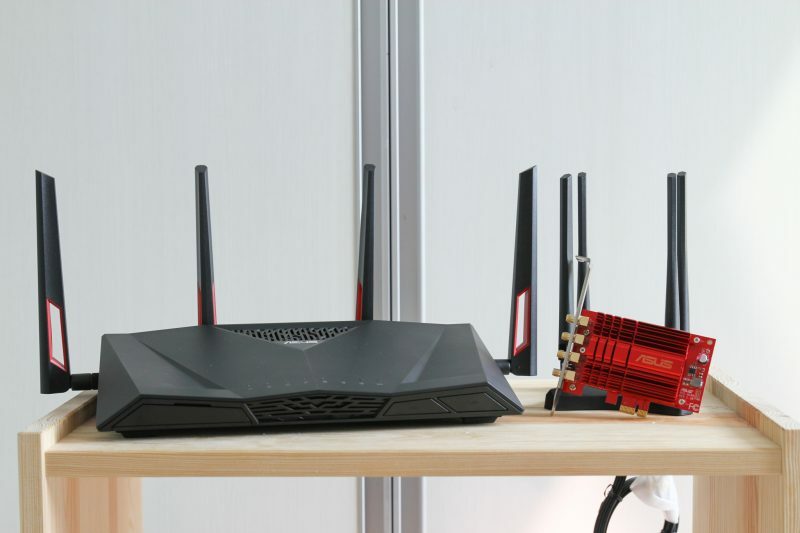 You need to pair it with a high-performance Asus router like the recently launched RT-AC88U to enjoy the full performance of the device. 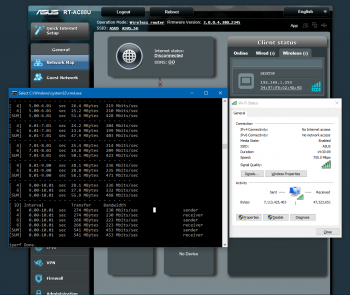 Check out my review of the Asus RT-AC88U wireless router here. 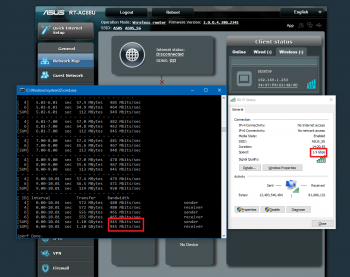 I am able to reach Gigabit Ethernet speed with the RT-AC88U on the 5Ghz band. I believe I can go even higher but it is limited by the Gigabit interface on the router. On the 2.4Ghz band, I am still able to reach a decent 450Mbps speed. The 2.4Ghz performance of this device is already better than some lower range 5Ghz router when using it with the RT-AC88U. The PCE-AC88 is an absolute beast. 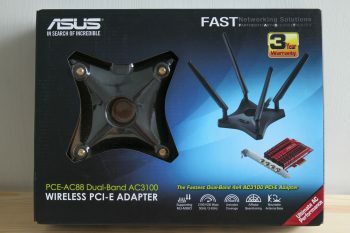 It is an enthusiast level product designed to pair with the Asus RT-AC88U. It is able to achieve Gigabit speed on close distance and still able to sustain a decent performance on a longer distance. I highly recommend this to those who require a high performance connection but a physical wired Ethernet connection is not feasible. The performance and stability on this device is so good that no other USB based solution can rival it. I have the ASUS PCE-AC88 it is about 5 meters away through a brick wall and a book case not too mention other crap and it works great! Can i max my TIME 1gbps connection via wireless with this combo? Pc is around 6 meters away from router with 1 wall. Cannot guarantee but should be able to peak around 800Mbps. 800-1000 is kinda hard. How’s the long term reliability of this card? Is the driver stable enough? The driver is great as this is a Broadcom based card. I have been using it until now.